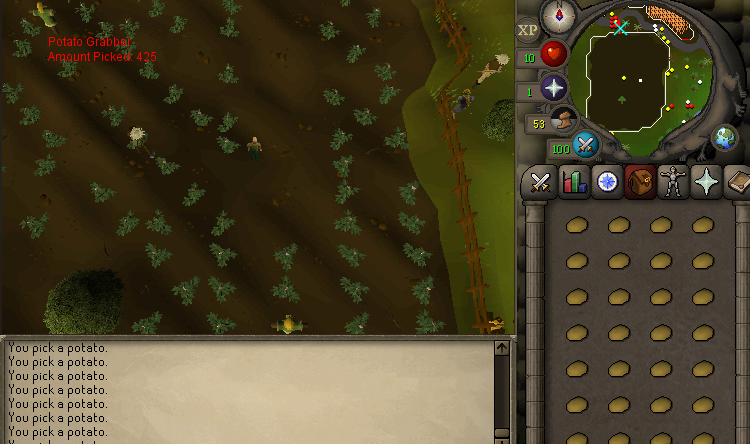 Picks potatoes at the field east of Draynor and banks at Draynor bank. Start the script at Draynor bank. How do you get this script? Where are you running the script? I just ran the script and it seems to be working. Here is some testing I did. I started the script in draynor bank. Does the script just stand there and do nothing even if you run it in the bank? I don't really know how to solve your problem since I can't reproduce your bug. I like it, I think its unpolished but can be really good. I think if you add a little more to it its a solid script, my problems with it so far is that it seems to click on the same tiles every time, its a bit sluggish not very fast picking potatos and it keeps the camera at the same spot. Ive only used it for about 10 minutes so its not like i thoroughly tested it out or anything. If I was suicide botting accounts, it would be really good. If you made him pick potatos at twice the speed I think it would be a very good script to make fresh accounts just to burn, but as a script for accounts that I don't want to get banned it needs more polish. still would look forward to this script getting a little extra love. Yeah what's the point of this? 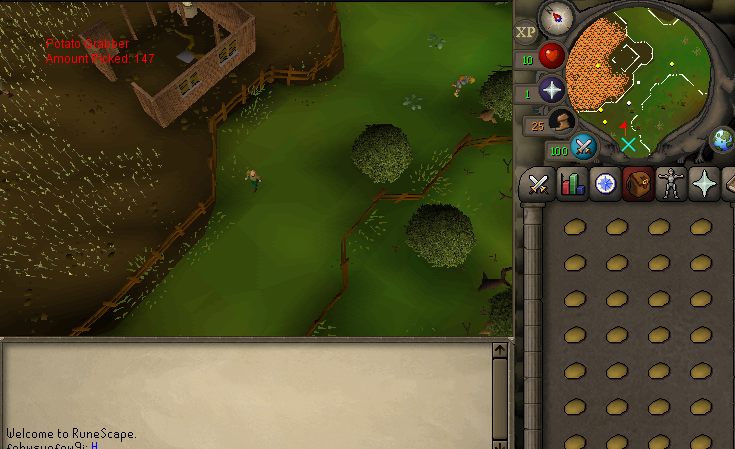 Potatos are 36 gp each lol.